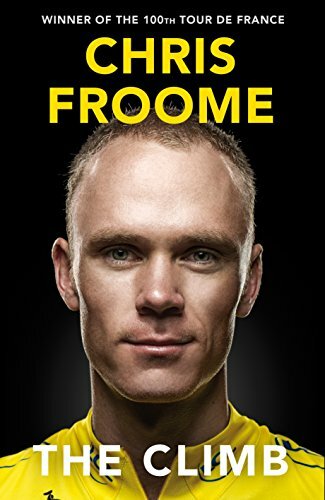 Chris Froome is a British professional cyclist who has won the Tour de France on four occasions 2013, 2015, 2016 and 2017. Hewas born 20 May 1985 in Nairobi Kenya. His parents Clive and Jane were British. Jane was born in Kenya. His father Clive represented England at under 19 hockey. At the age of 12, Chris got involved in cycling through Kenyan cyclist David Kinjah. Kinjah was happy to encourage the young white kid and often Chris would get taken on long bike rides with native Kenyan riders through the rural highlands of Nairobi. Although Chris was riding with much older riders, he was determined to keep up and ride long distances on very basic bikes. Chris has maintained contact with his early Kenya roots and often sends back spare kit to young Kenyan riders. Aged 14, Chris moved to one of South Africa’s top boarding schools, where he subsequently went not to study economics. Cycling was very much a minority sport, but Chris was able to keep cycling – sometimes riding an indoor trainer for several hours. He also played rugby which he said he enjoyed, though was too small to be any good. After winning his first tour, Froome also said his mother was a big inspiration for encouraging his cycling both as a youngster and when he decided to turn pro. In 2006, he represented Kenya at the 2006 road world championship in Salzburg, Austria. With little support from the Kenyan federation, Froome made himself manager in rode to be able to qualify. He once appeared late at the manager’s team meeting, dripping wet (he had cycled through the rain). He was told this was a manager’s meeting, not a riders meeting, though Froome would reply he was a manager too. Aged 22 (quite late for aspiring pros) he turned pro racing in South Africa racing for the Team Konica Minolta. Despite a lack of suitable hilly races, he made satisfactory progress. In 2008, he signed for Team Barloworld with the help of Robbie Hunter. In only his second season as a pro, he rode the 2008 Tour de France, where he finished 84th, and 11th in the young riders classification. In his first Giro d’Italia in 2009, he finished 36th overall. His climbing performances attracted the attention of British coach Rod Ellingworth. Froome said that although he had represented Kenya, he always considered himself British and held a British passport. Froome was encouraged to apply for a British racing license so that he could benefit from the support and expertise of the British racing team. His results were sufficiently encouraging for Froome to gain a contract with the new British professional team Sky. His first season 2010 was a mixture of results. For considerable periods he suffered from the effects of the parasitic disease, bilharzia. He finished 2nd in the 2010 British time trial championship, 1.20 behind Bradley Wiggins. Representing England, he finished 5th in the Commonwealth Games time trial. The biggest breakthrough of the season was the diagnosis and treatment of his bilharzia disease. This left him unable to ride at the start of the 2011 season (because treatment is quite harsh). But, once recovered he was able to display his top form, un-bothered by periods of illness. By the end of the season, Froome was on great form and designated to be the main helper for Bradley Wiggins. Froome was in great form in the mountains, and in stage 10, beat Wiggins in the time trial. Unexpectedly, the domestique was outshining the lead rider. Some felt if Froome had been the team leader from the start, Froome could have won the Vuelta. But, despite doing a lot of chasing as domestique, Froome was able to hang on for second place. In early 2012, Froome again lost some time due to the return of bilharzia parasites, but for the Tour de France had sufficiently recovered to be Wiggins’ main domestique. On stage seven, Froome was able to win his first Tour de France stage on the climb to La Planche des Belles Filles. On other mountain top finishes, there appeared to be two occasions where Froome was stronger than the yellow jersey Bradley Wiggins. It looked like Froome was attacking and then on team orders coming back to Wiggins. The incidents caused a media storm, and was one of the main talking points of the Tour. However, Wiggins dominated in the two long flat time trials and was a clear winner – taking 1st place by 3 minutes over Froome. It was a historic Tour De France, with Britain’s first winner, and first second place rider all in the same year. 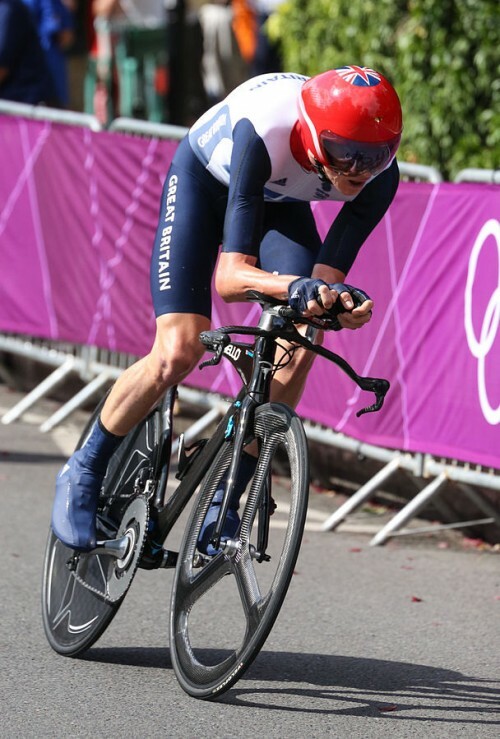 In the 2012 Olympics, Froome rode to bronze medal in the time trial and was part of the road team which tried to set up Mark Cavendish. In September, Froome finished a busy year by leading Team Sky in the Vuelta. Despite a strong start, he lost time over the last few weeks and finished 4th behind Alberto Contador. Froome later said he was riding on empty – tired after a long season. In 2013, Froome was designated as team leader for Sky. The more mountainous terrain suited Froome and at the start of the year, his form was imperious. He finished second in the Tirreno-Adriatico and won the Criterium du Dauphine. In the 2013 Tour De France, Froome started as the hot favourite and on the first mountainous stage to Ax 3 Domaines, he justified his billing by riding away to distance many key rivals and win the stage. That stage victory was helped by strong support from Team Sky riders Peter Kennaugh and Richie Porte. However, on the next stage, Froome was isolated as Movistar were able to drop all Sky riders apart from Froome. Froome went on to win 2 more stages. The key mountain top stage 15 to Mont Ventoux and the second individual time trial, stage 17. In the aftermath of the Lance Armstrong scandal, the press were highly suspicious of the validity of any cycling result. During the tour, Froome and Sky were frequently subject to repeated questioning about whether the performances were credible and clean. Froome remained calm and patient, always insisting his performances were clean. Froome said he welcomed the questions for the opportunity to show the sport was clean. Journalist David Walsh, who helped uncover Armstrong’s doping and wrote ‘Seven Deadly Sins’ about the experience was allowed access to Team Sky for 2013. After spending several months with the team, he wrote in the Sunday Times that he believed Froome was clean and deserved to be believed in. Although Walsh was critical of Sky’s decision to hire doctor G.Leinders during the 2011 and 2012 season, Walsh said he felt the team were committed to riding clean, and despite the exceptional performances of Froome in the mountains he believed he was clean. Froome has often spoken about his willingness to be a spokesperson for doping. He asked for more testing to be done at his training camp in Tenerife. He also stated night time testing would be a good thing if it helps. As the first Tour de France winner since the USADA report into Lance Armstrong, Froome has often been on the receiving end of much speculation and cynicism with frequent comparisons to the performance of past dopers. The Sunday Times article revealed how often Froome had been tested 19 times during in the 2013 Tour de France – up to 3 times a day. 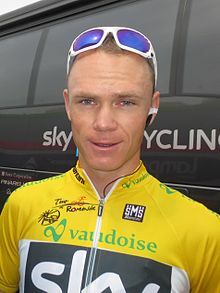 Froome is married to Michelle Cound, a Welsh-born South African. Michelle Cound is a former professional photographer but retired to help support Froome. She has also been active on Twitter defending Froome from accusations of cheating and disloyalty to Wiggins. It was Michelle Cound who coined the nickname ‘Froome dog’ for his loyalty to Wiggins. In 2014, Froome entered the Tour de France as one of the main favourites. However, on a flat stage, he crashed injuring his hand. The next day, he crashed again on the cobbled stage and had to retire. Chris Froome entered the 2015 Tour de France as one of the leading contenders. One of the big Four of N.Quintana, V.Nibali, and A.Contador. In the opening week, Froome gained small time gains on the Mur de Huy and also on stages affected by crosswinds. He moved into the yellow jersey and went to the Pyrenees in good shape. On the first summit finish of the Tour, Froome attacked 7km from the summit and was able to distance all his main rivals, with Quintana being one minute behind. His dominant performance led to speculation, especially in the French media about the source of his success. There was some degree of hostility to Team Sky and Chris Froome, with Froome having a bottle of urine thrown at him by a spectator. In 2016, he won the Tour de France and gained more plaudits for his unpredictable attacks and the tour was closer than previous years. In 2017, Froome achieved the rare feat of winning both the Tour de France and Vuelta Espagne in the same year. However, on stage 18 he returned an adverse analytical finding for the asthma drug salbutamol. Weight: 65 – 66 kg. Tour de France – overall 2013, 2015, 2016 and 2017.